While working on your gear teardowns, don't be a knucklehead. 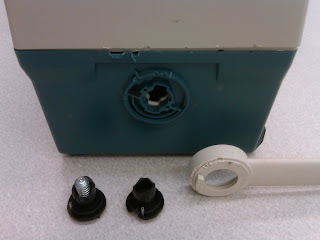 Some would-be cowboy repairman decided that this oscilloscope was held together with plastic snaps, and tried to open it with brute force and a screwdriver. In addition to scarring the case, he broke the handle hub in half. 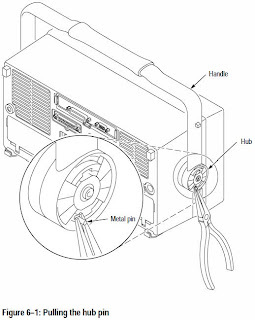 A Google search for "TDS3012B service manual" quickly finds a PDF of the service manual, which includes this diagram. 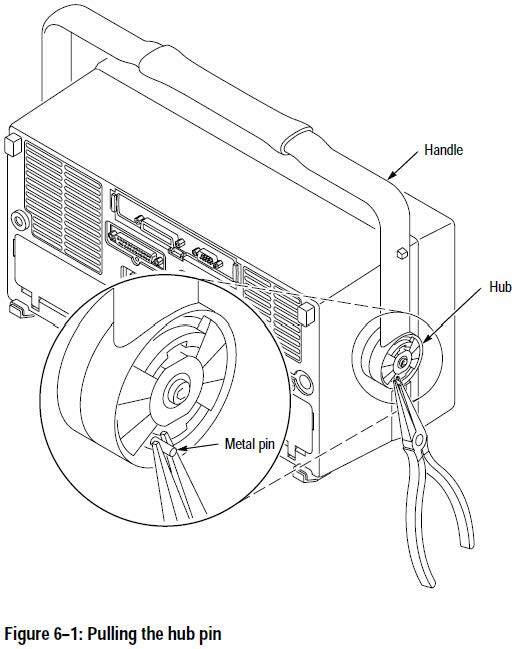 By pulling the metal pin, the handle comes off and the case of the oscilloscope opens easily. When in doubt, ask for help!